At Luxe Painting we use a special membrane paint that has been specifically manufactured for our harsh summer sun, this means it won’t peel or crack unlike less superior paint that unregistered painters or handy men might use. 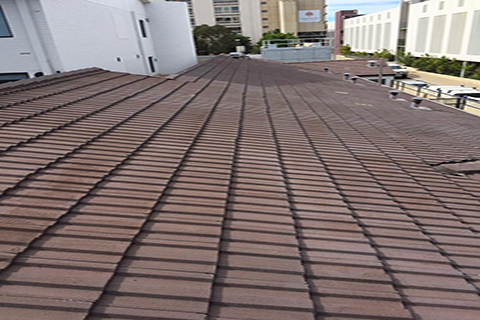 Your roof is the first line of defense from the weather, that’s why we insist you get a quote from us today. Often people think roof restoration is a costly job and as a result, they put it off for as long as possible. However, this can end up causing more problems later down the track. Old unprotected tiles will start to deteriorate from our harsh weather, this can lead to broken tiles and eventually resulting in leaks. At Luxe we have developed a system that can be achieved at a very competitive rate. Replace/repair all broken tiles and capping. Check/secure and coat all flashings, valleys and roof penetrations. Rectify any leaks that you are aware of. High pressure clean the roof to remove all Peeling paint moss and dirt, also to Clean out all valleys and gutters. Mask up and cover any vents and air-conditioning unit. 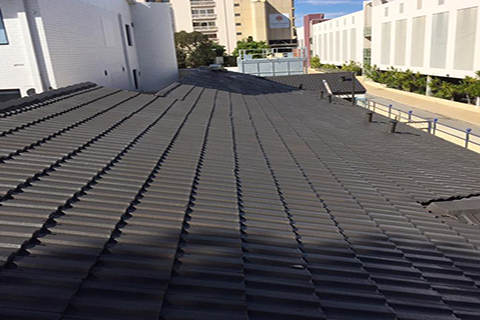 Seal roof with appropriate sealer or metal roof primer as required. Coat entire roof with two coats of your chosen color and sheen level. 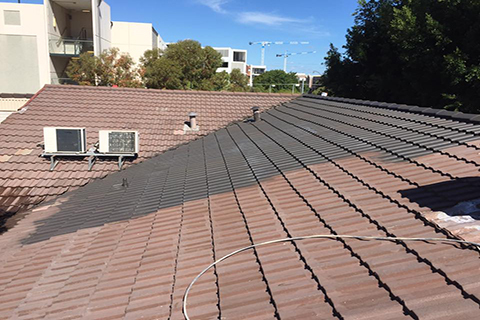 Luxe Painting provides the highest quality roof restoration service in Perth!